A number of years ago, I embarked on a journey to learn more about the actual text of the Bible. I wanted to know how it came to us in the present form. The research took me to libraries (both here and abroad), the Internet, discussions with textual scholars, and the reading of many books (a weariness of the flesh), and earnest prayer. I wanted to know the truth. The shallow claim of those who insist that only one 400-year old English translation—done with pre-set biased rules, few resources, by men who did not know the New Testament was written in Koine rather than classical Greek—should be viewed as “the Bible” demands a response. The attempt to find truth behind the manuscripts, the texts and translations seemed a worthy objective. 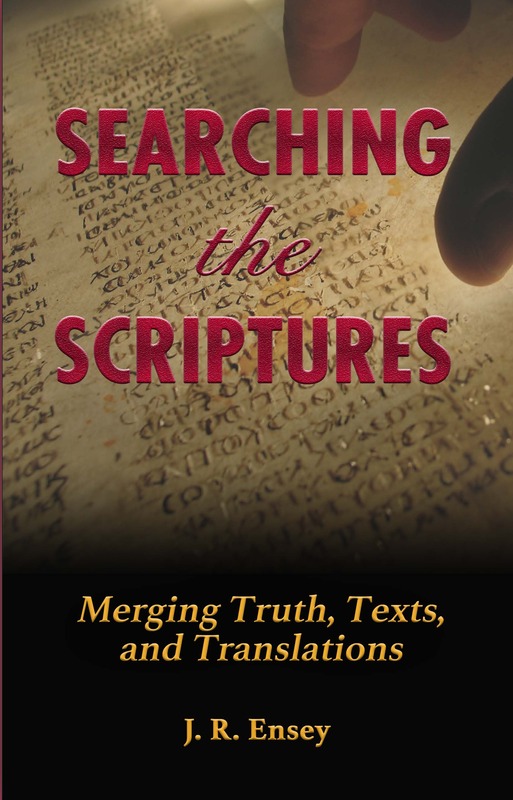 Searching the Scriptures: Merging Truth, Texts and Translations is the result of that effort. It puts the early English Bibles, including the KJV, in perspective where they can be evaluated with contemporary translations by the sciences of papyrology, textual analysis, and linguistics. No doctrines are lost in the process and none are created in Searching the Scriptures. If you have questions about the ancient manuscripts, the Greek texts, the differences in the Textus Receptus, the Majority Text, the Critical Text, or in the translations available today, you will probably find some help here. What about the words or phrases in some translations that are not there in the medieval versions or vice versa? You will find some answers in this book. Includes charts, comparisons of Bible translations, and other addenda that is helpful in the study of the Scriptures. Apostolics, of all people, have no need to fear truth. To do so casts a shadow of doubt on the Holy Scriptures. The more one learns about the Bible, the more he respects it and trusts it.